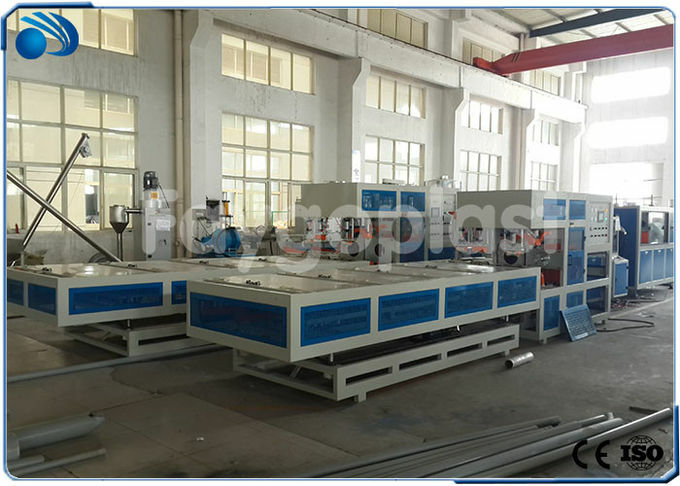 PVC powder + additive --- mixing---material feeder---twin screw extruder---mould and calibrator---vacuum forming machine---haul-off machine---cutting machine---discharge rack or pipe belling machine. 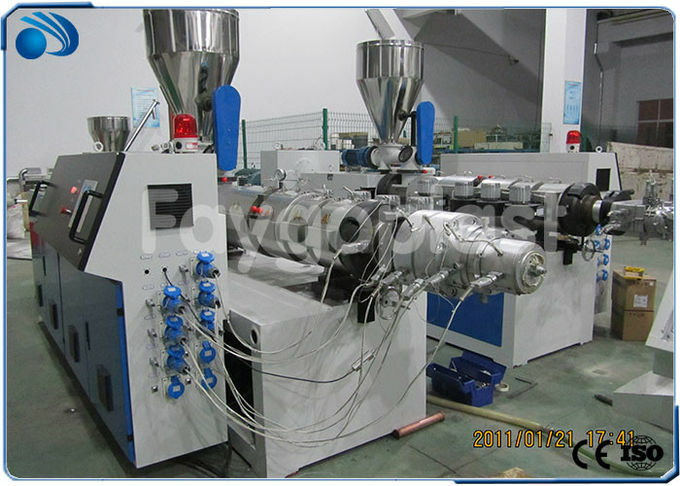 The screw of the extruder could be designed as lower filler screw and high filler screw. With advanced design, it provide powerful safeguard for the PVC plasticization. 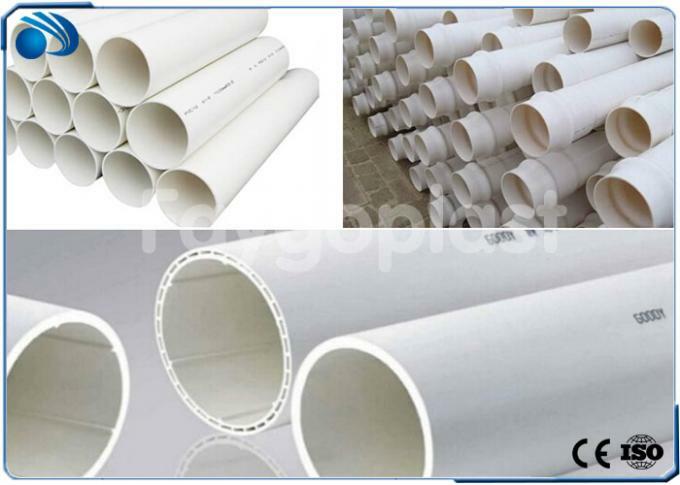 There is degassing system for the screw and barrle, which will ensure the quality of final PVC pipes. The motor adopt Siemens standard motor, ABB inverter, Siemens PLC control system. The tank body of vacuum calibration and cooling units adopt stainless steel 304# . The excellent vacuum system ensures the precise sizing for pipes; spraying cooling will improves the cooling efficiency; Auto water temperature control system make the machine more intelligent. 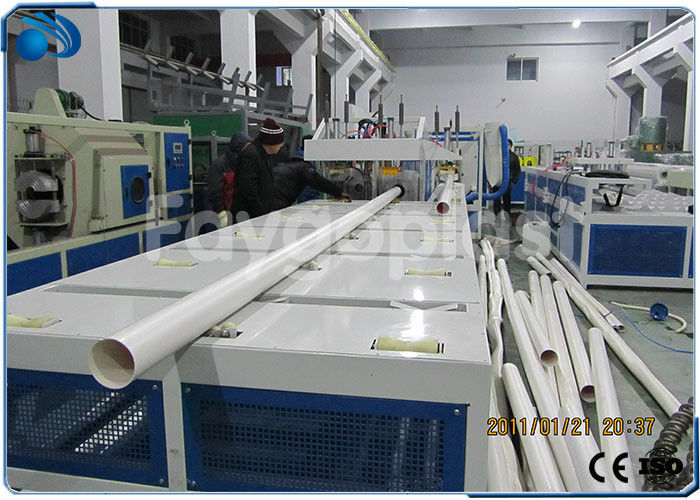 The haul-off machine of this PVC pipe line will adopt three caterpillars, and the compact mode of haul-off frame adopt pneumatic and gear motor. With meter code, it can count the pipe length during the production. Cutting system adopt PLC control and it could be no-dust cutter and planetary cutter. There is dust-collecting system ensures clean working environment. The pipe belling machine can make pipe with different belling shape, such as "U" type, "R" type etc. 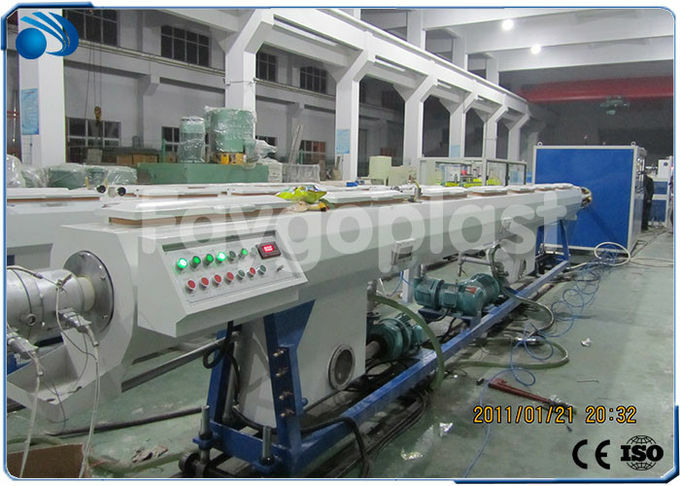 We can also design pipe belling machine with auto rubber ring feeding system.